Essays are common form of prose that one comes across almost regularly on newspapers and magazines. One also deals with it at school level. When one writes an essay on a regular basis the technicality and the historical background hardly comes to one’s mind but if the famous essays are examined carefully a fair idea of this can be achieved. This website is to furnish the readers with the gift of some of the best essays written by famous authors. If you are looking for famous essays online and the analysis and review of famous short essays this is the best place where you could have reached. An essay can be hardly distinguished from an article. It is personal in nature when compared to an article. The word essay comes from the French word “essai” which means an attempt. Thus to follow its literary meaning it might be derived that an essay attempts to present the opinion of the author to his/ her readers. For some authors it might be a loosely bound, free-flowing thought process presented in a refined form while for others it might be a composition to explain something in a restricted and confined manner. 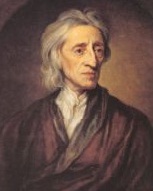 An essay might at times not be a comprised form of art but long enough to constitute a book as in “Essay on the Human Understanding” by John Locke. 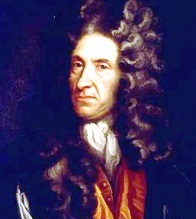 However, a few essays might also be in verse form as in “Essay on Criticism” and “Essay on Man” by Alexander Pope. Essay is supposedly the most flexible form of literary genres. One can negotiate not only on its length but also its presentation. Therefore it simply discusses a topic with tints of the author’s personal view point. An essay might be a crude expression or informal piece of art but has a definite aura around that attracts the readers. Essays can be both formal and informal. A formal essay deals with topics of serious concern and they are presented in a serious tone whereas an informal essay has a more personal approach. An informal essay is almost like a free flowing conversation, many a time presented in a subtle, witty and humorous manner. Montaigne of France and Bacon of England were the proprietors of establishing essay as a distinguished literary form. Following Bacon’s footsteps authors like Abraham Cowley, Daniel Defoe, John Dryden and many others left remarkable works in this field. “Periodic Essays” were coined in by Richard Steele and Joseph Addison, who issued periodic magazines named The Tatler and The Spectator. These essays intended to bring forth the prevalent social and economic issues of England in that era. They generally dealt with fashion, superstition and political issues and were considered to be the mirror of English society. The nineteenth century was a period of romanticism. Essayists like Charles Lamb, William Hazlitt and Thomas De Quincey changed their focus of writing from social and political issues to individual life issues. They were known as Personal Essayists and wrote personal essays in their truest sense. The essays were rich in essayist’s personal feelings and emotions. The essays like “A Dissertation upon Roast Pig” by Lamb, “On Going on a Journey” by Hazlitt, and “The English Mail Coach” by De Quincey are examples of such writings. Not to forget the recent writers like A.G. Gardiner, D.H.Lawrence, Robert Lynd and T.S Elliot are presenters of some marvelous pieces of this genre. The list is endless and to satisfy all the taste buds it is absolutely necessary to experience and examine each work of each individual author. Top 5 essay topics and tips how to be original.